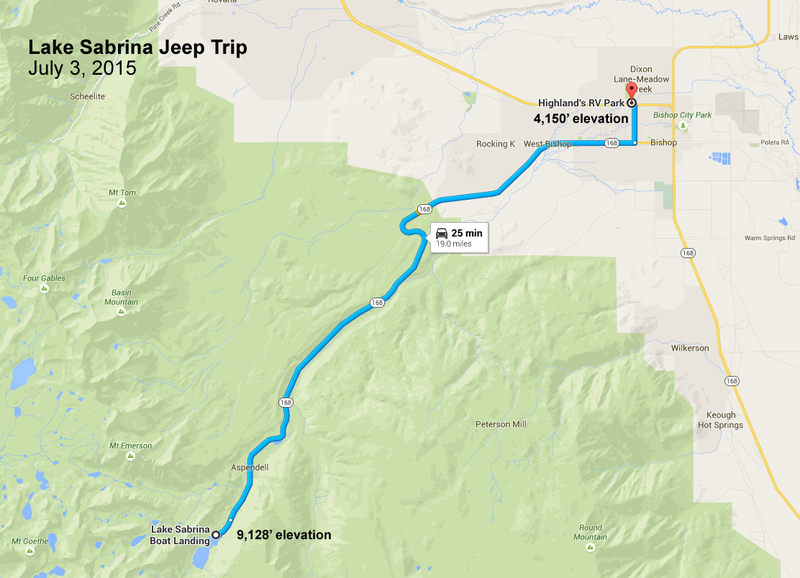 To test out our Jeep (we just had it tuned), we took an afternoon trip up to Lake Sabrina . . . and along the way discovered South Lake. 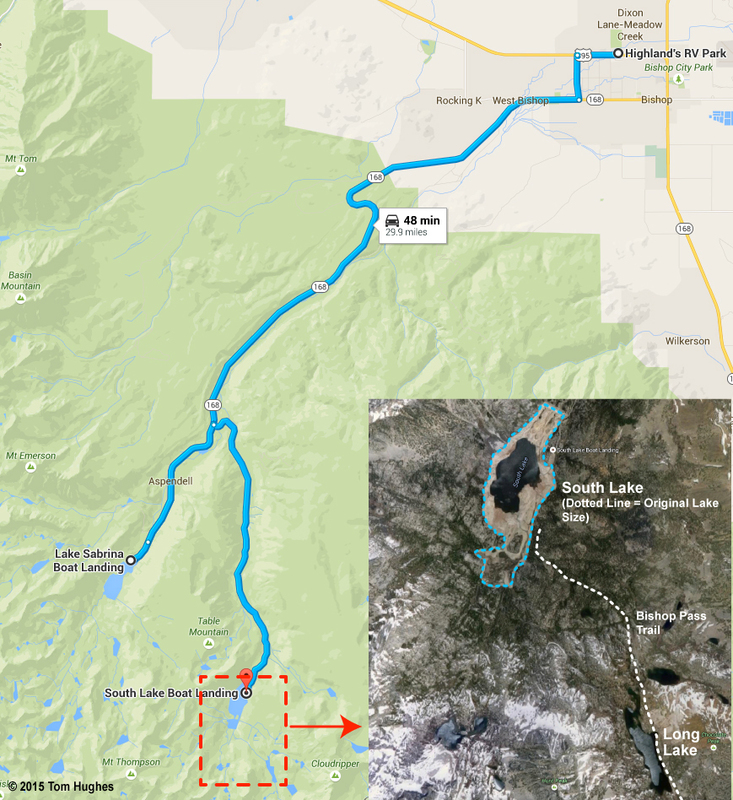 At South Lake we talked to some hikers just coming back from Long Lake (see map) which is on the Bishop Pass Trail. They couple said it was a great trip so Jan & I bookmarked this spot for the future. Here are some photos and a movie we took on the trip . . .
Emma’s Fave KPOP Group & Song (and mine) . . . 2NE1 . . . If your Korean is a bit rusty, here’s the lyrics in English of this 2011 song . . .
By the way, the woman singing this English version of “I Am the Best” isn’t a member of 2NE1 (the Korean Kpop group who sings the original “I Am the Best”). We started the day with intentions of going to Mono Lake, a very alkaline, moon-like lake about 65 miles up the road from Bishop. Then it started raining. In fact for the past week the area around the lake has been hit with some record rains and flooding. So, we needed a Plan B . . .
First stop — Lunch at the Whoa Nellie Deli where I had a pizza slice and Jan had a Fish-Mango Taco . 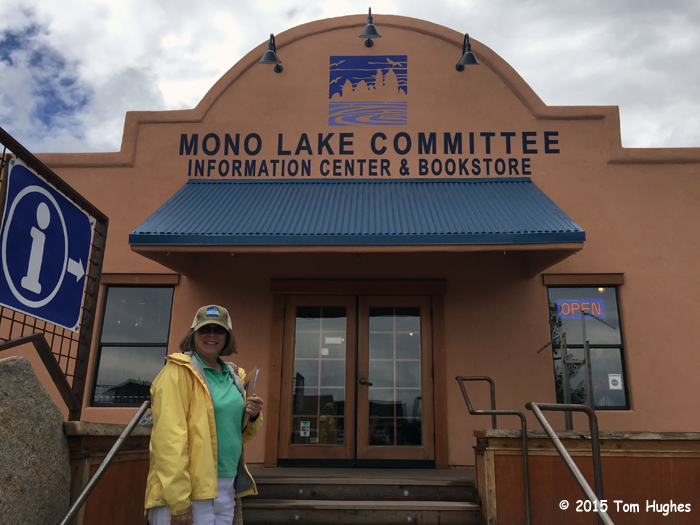 . .
Second stop — a bookstore in Lee Vining near Mono Lake . . . The couple running the bookstore was really helpful. It turned out that they spend their summers working at interesting places around the country. 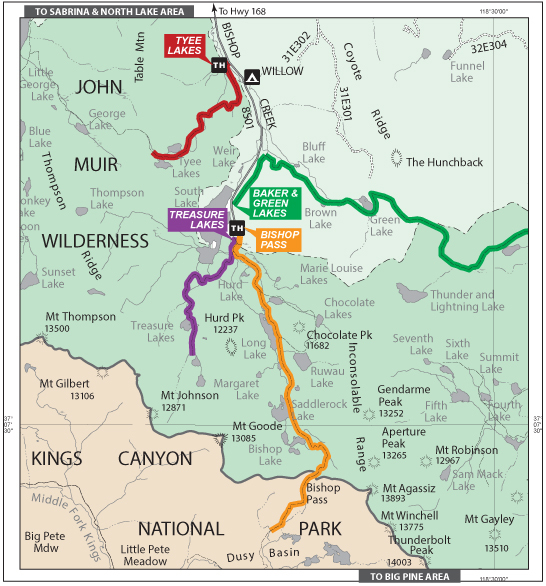 We bought a couple of maps and drove off to our Plan B destination — Tioga Pass — about 12 miles outside of Lee Vining up Highway 120. Our Plan B destination turned out to have the most sublime scenery we have ever experienced. 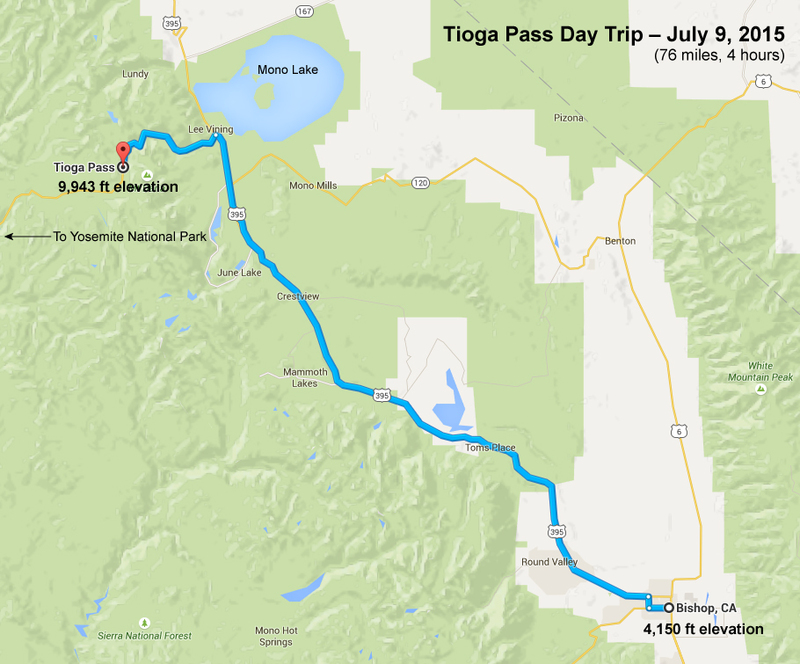 What added to all of this was the fact that Tioga Pass had been closed the day before because of 5 inches of snow. On our trip up Highway 120 towards the pass, there was fresh, slushy snow everywhere. It was great. Some photos from our trip . . .
On Friday afternoon, we drove up to Lake Sabrina. The lake is at the end of Highway 168, about 19 miles from Bishop. Our Jeep was straining during parts of the trip when the elevation went up rapidly, but during the summer the great part about high elevations is the drop in temperature. Back in Bishop (4,150 ft elevation) the temp was in the mid-90s, but at Lake Sabrina (9,128 ft elevation) it was in the mid-70s. The first thing you notice about Lake Sabrina is how low the water level is. Jan and I guessed it was at least 25 feet down. We plan to come back and try some of the hiking trails. Photos from our trip . . .